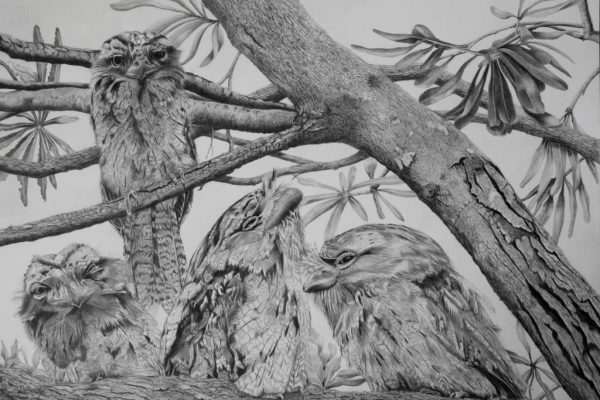 Diane Smith – Queensland Wildlife Artists Society Inc.
As a child growing up in “Constable Country” in the UK, pencils, paper and paints were never far away for Di but as life changed and emigration to Australia took place later in life, they faded out in favour of settling a new life. Breeding and riding horses then took over for many years. 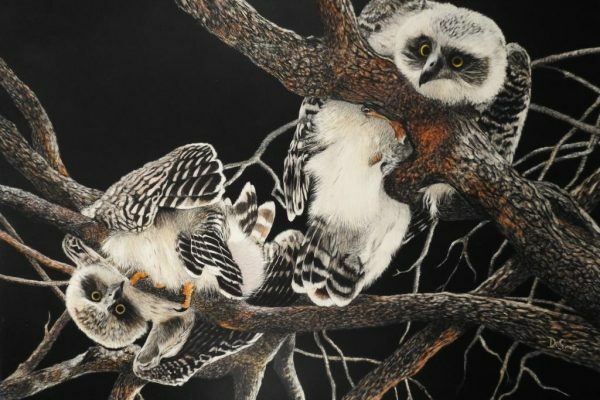 Now, as a “Senior Citizen” Di has found as one chapter closes another one opens and the wonderful world of wildlife art has come to the fore. With huge encouragement and help from her teacher – Sandra Temple – a whole ‘new’ world has opened up and the pencils are in full swing once again in her life. Di loves the fine detail of the wildlife and also does some domestic pet portraiture. 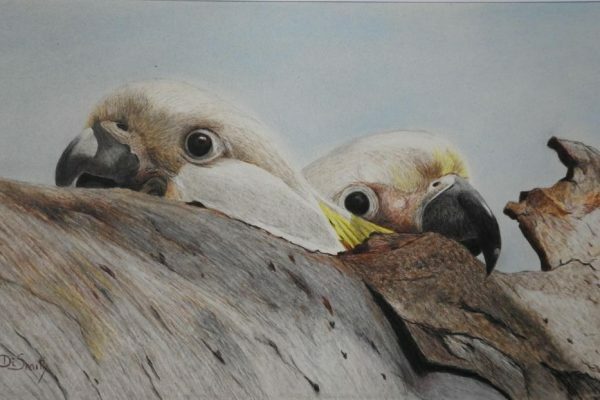 Trying out different techniques with coloured pencils and scratchboard is very exciting as is taking her own photos with other members on group trips.